I have dedicated more time finding game art tutorials than actually learning from them. This search led me to some cool people who are not only good artist but also share their secrets to help others. Our guest is one of them. 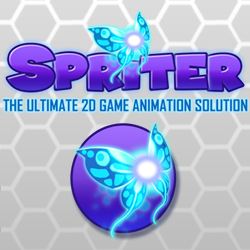 He is a freelancer 2D game artist and also running a series of game art tutorials. In this interview, he shared interesting facts about his work and responsibilities as a game artist. He also unveiled the secret sauce to be a game artist even if you can’t draw. Sounds exicting. Let’s welcome Nathan Lovato. Hello Nathan, Welcome to Unlucky Studio. Thank you for your precious time. I always start the interview with the formal introduction but this time it’s a little bit different. I want you to describe yourself in an unique way. Who are you and what do you do? Hey there! I’m Nathan Lovato, also known as GDquest, a freelance game designer. I mostly make 2d game art, write articles and release free video tutorials weekly on my youtube channel. I’m deeply interested in open source technologies and their philosophy. What else is there to say? I’m someone who likes to be in touch with people. I’m actually fond of the bond, the connection that you grow with viewers or players. I’m looking to make the time people spend with me or my work worth it. How did you get into game art? At what age you decided to be a freelancer? I didn’t draw in my childhood. I actually hated drawing. It all started in middle school. A friend came by one day, excited about a disk he had found. “With that, you can make your games like Final Fantasy or Pokemon!” We put the CD in the computer’s tray, launch 3D games creator… and soon after came the disillusionment. 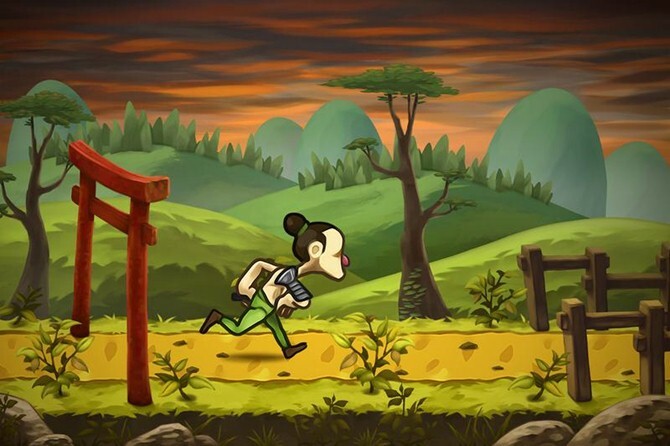 “It’s so complicated!” We had no tutorials, no programming knowledge… That was my first step with game creation. I focused on graphics and writing because I found programming hard. But in reality, I was just slacking! And I did so until I was about 18-19 years old. I decided to become a freelancer a few years later. We tried to create a company with a friend, and our projects were working okay. But we decided that we lacked some experience last year and parted ways. That’s when I started taking freelance jobs. 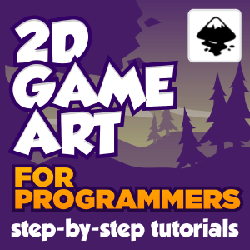 You are creating game art tutorial series from few months. Those tutorials are fantastic. Why did you feel a need of those tuts and what can people expect from you in the future? 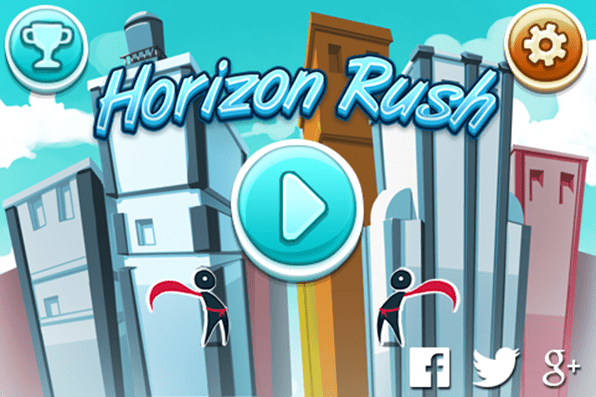 I think that there is a gap as far as free learning resources for game creation are concerned. Don’t get me wrong: there are tons of tutorials out there. But there is too little refined content like you can find on Ctrlpaint or 2dgameguru. I’m here to help fill that gap. I want to break down the techniques and concepts we use as professional designers. No secret left out! In the future, you’ll see more videos about game design. 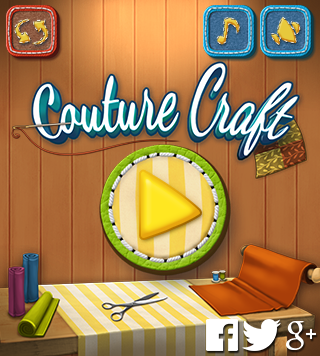 I am working on a new series called Game Design Quest. I’m also hoping to crowdfund a bigger project. People seem to like the tutorials, so I’d like to take the channel to the next level. You are using open source applications for the tutorials. Why didn’t you choose Illustrator or Photoshop as they are industry standard? Because open source tools are open to everyone – regardless of one’s revenues in particular. I want my younger viewers, or people with little resources to be able to watch my tutorials. There are already loads of training series out there for Photoshop and Illustrator. 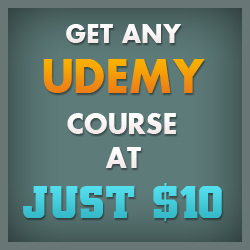 If you can afford the software in the first place, you can certainly afford a Udemy course as well. Then, I’m fond of the open source mindset: each and every user has the power to contribute to the development, to give back to the community. You end up building a communitarian mentality, with people who are eager to help out one another. Open source software can rival their proprietary counterparts. LibreOffice and Blender are 2 good examples of that. Krita itself shows a lot of potential for 2d art. The more supporters and contributors it gets, the faster it’ll grow and get to match other paid tools. By the way, it’s the art skills that define a professional. Not his software. Most companies don’t care that you are not using Photoshop if you do excellent work: it takes but a few days to switch. Functions like clipping masks, selections, deformations, etc. exist in many packages out there. They are common tools, not specific functions. You can learn them once and apply your knowledge to multiple software. You are a great artist. I have seen your art and love it. What does it feels to be a good game artist? What is your average daily routine. (๑°o°๑) Thanks! Most artists don’t feel confident or comfortable with their art. As a professional, you tend to always put the “good” threshold right above you. At least for your own work. I don’t feel anything special about mine – be it positive or negative. I’m not proud nor insecure. I just set objectives for myself. I guess I don’t care much about the notions of good or bad: only improvement matters to me. And helping others improve as well. How much time do you devote to studying art? I think I don’t study like most. I’m not the kind who draws all day long. Well, I’m a game designer, so I have many things to work on aside from game art. Coding, writing, languages and music… But you don’t need to draw 8 hours a day in order to become a professional game artist. There is much more to it than just drawing all the time. As Anthony Jones says it, you have to be industrious about studying new concepts. You have to observe the world around you, to take notes, to analyze paintings… You can draw 2 to 4 hours a day and grow faster than someone who mindlessly copies references all the time. I touched a word about that in a recent Q&A video for those interested. At times, if I’m working for a client, I don’t get to do any art. But I still did devote quite a bit of time to art over the last few years. I tried to improve my focus at work. If you want to become a professional artist, you have to be ready to spend at least a few hours doing focused learning, almost on a daily basis though. 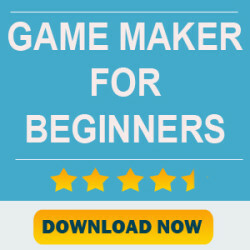 As a beginner in this field, I know people send emails to work on their game for free. Do you get such requests? If so, how do you handle them? I don’t get them anymore. As a professional, your services have a certain cost. You should always state that clearly. As a freelancer, you will only start to make a living once you get to charge the right amount of money for your work. You can’t afford to work for cheap clients or with shady contract terms. Clients respect you much more when you don’t undersell yourself. And how about exposure, some may ask? For one, even if you sell your work, it’s still yours. When you sell art, you’re not giving your intellectual property: you’re only selling usage rights. So you do get visibility even if you charge money. But even if thousands of people see your work, it doesn’t mean they’ll care about you. Visibility itself is worth very little. It won’t give you a community. You can still choose to help someone for free, from time to time. But it should never be for a company. It should never be for a project that’s going to generate money on your back. Even if you’re a junior. Did you have any bad experience with freelancing? I guess that in the first few years working as freelancers, we all make mistakes. I can’t complain though: I received a lot of advice from fellow professionals early on. Don’t undersell yourself, get part of the money before you start working on a contract, etc. You need to be able to talk about money, to be very clear about the terms of a job, and to communicate very well. Then you won’t have too many problems. Note that seeing contracts or payments delayed is very common. Some clients also have a hard time to express what they want. Some can’t take it. But it’s part of what it means to be a freelancer. Freelancing is always risky. You’ll have bad experiences if you can’t adapt to that risk. Have you ever faced “Artist’s block” and how did you overcome it? You’re not supposed to face creative blocks as a trained designer. Our role in a team is not only to produce game assets. It is to come up with new ideas, all the time. I don’t have artist block because I have learned to generate ideas. You can use references, meditate, do random associations, Brainstorm… There are always ways to find new projects to work on. To me, artist block is more a matter of either a lack of objectives, or in some cases physical or moral exhaustion. So I would advise to be careful with your health, and set [short-term] goals for yourself. 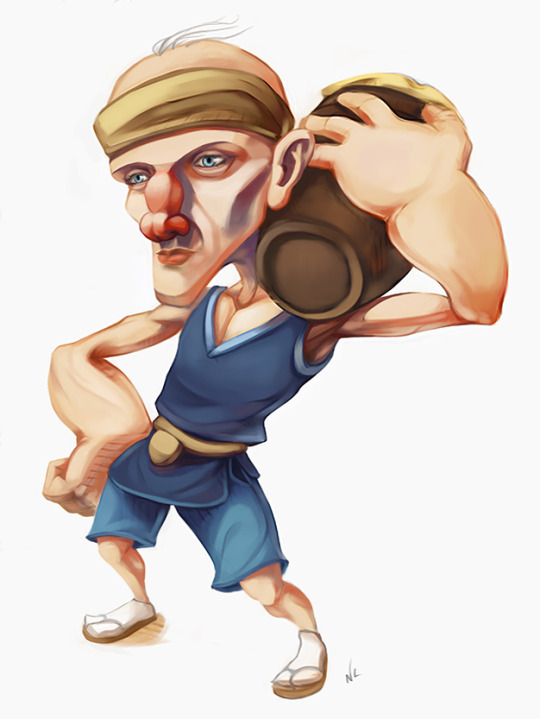 What skills are required to be qualified as a professional 2d game artist? It depends on the industry you target. To put things simply, you should be able to produce assets of the quality of the games you’d like to work on, and understand how they are made on a technical level. You have to understand the needs of a development team, and be able to estimate the time a task will take. You also must be able to adapt to multiple visual styles, and be productive overall. As I mentioned above, there should [almost] never be creative blocks on the job. Art is extremely competitive, so you need more than just some good drawing skills to make a living off of it today. Sadly, there is no simple checklist you can follow and know you’re experienced enough. I’d say you have to work on your drawing/digital painting skills and make art for games in parallel to get there. Any advice for the people who can’t draw and want to be an artist. No one can’t draw! Imagination, creativity and drawing or painting themselves are skills that you can develop. You can learn anything… Fast! Provided that you invest the time and effort to build solid foundations. Also provided that you learn to like the process of making art, and not only the result. There is no secret: if you someone’s really ahead of you, the most likely just spent more time than you studying. Or they had great mentors. Be it a member of their family, a friend, a teacher… If some people learn faster than others, this still have to invest hundreds, thousands of hours to become good artists. No one is born with the ability to draw well. Any suggestion about our site? How can we improve it? It’s a nice blog! I do have some feedback for you though. To me, your website’s headline doesn’t fit the content. Is it a personal blog or a place to find resources? I think it’s the latter. So if I were you, I’d focus on that. People are not really interested in who we are as much as what we do. It’s only once they get to appreciate your work that they will be interested in learning who you are. The tweened scrolling induces a lag in the browsing experience. I’d remove it altogether. It might also feel sickening for people who have motion sickness. The ads on the right look prominent with all that negative space around them. I would center the blog part, make it take all of the width, and have smaller ads at the top of the page. Increase the font size for the website’s text. 13px is not bad. But as you’re using a light font with a soft grey color, it’s not the easiest to read (think about those who have a diminished eyesight). Many people don’t know that they can zoom in on the page. Use justified text! It makes your paragraphs easier to read, as your lines’ width stays consistent. That’s the reason why every newspaper or magazine has text aligned this way. Thanks a lot Nathan. It was a pleasure having you here. You seriously increased my work by providing all these interesting links. Thanks again for your honest opinion about the blog. I will be working on them for sure. Keep making more tutorials. We really need them. Best of luck buddy.